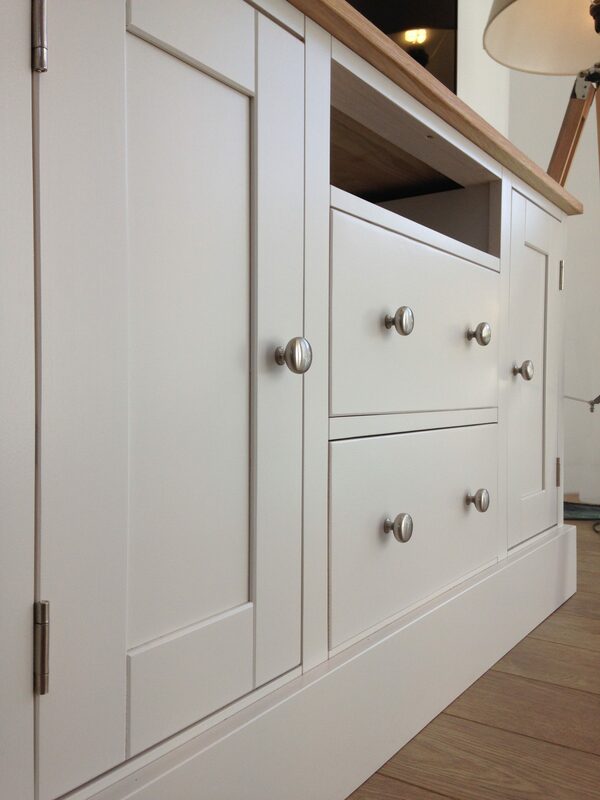 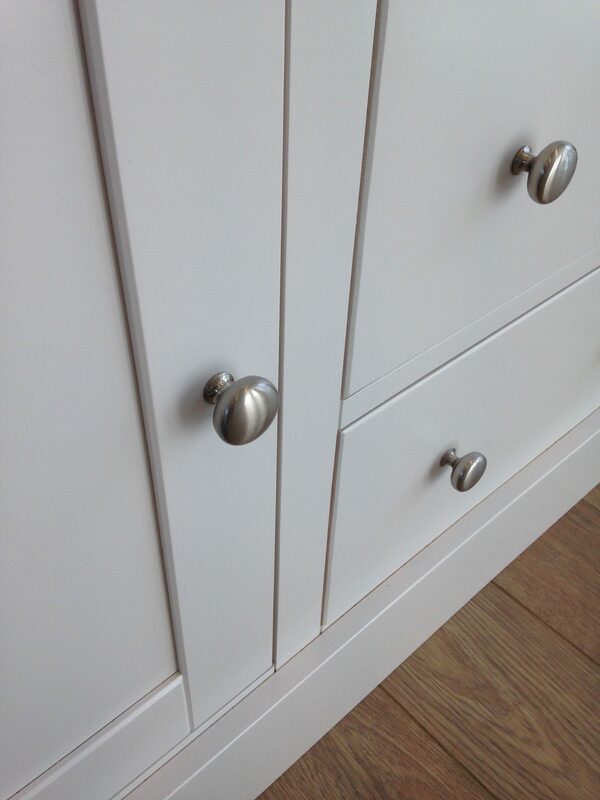 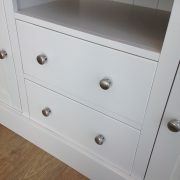 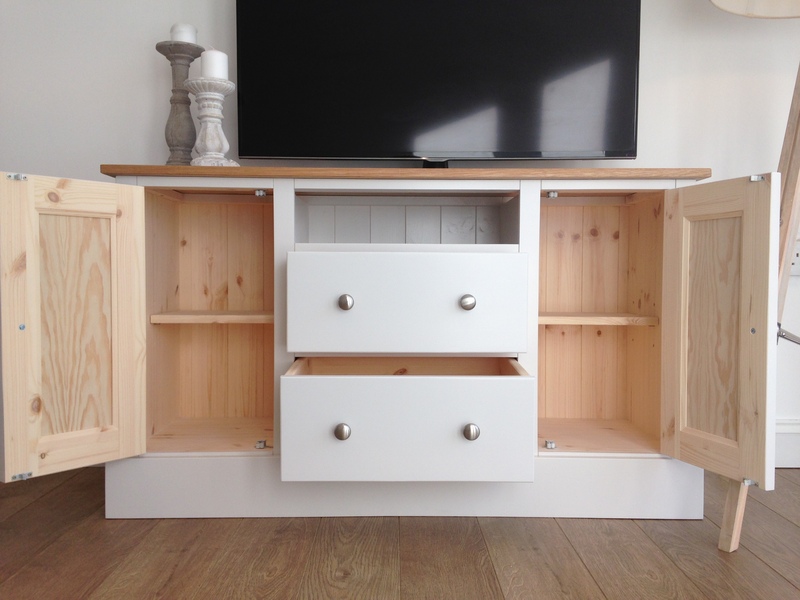 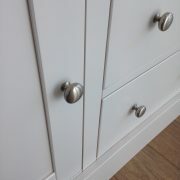 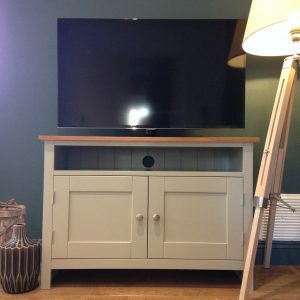 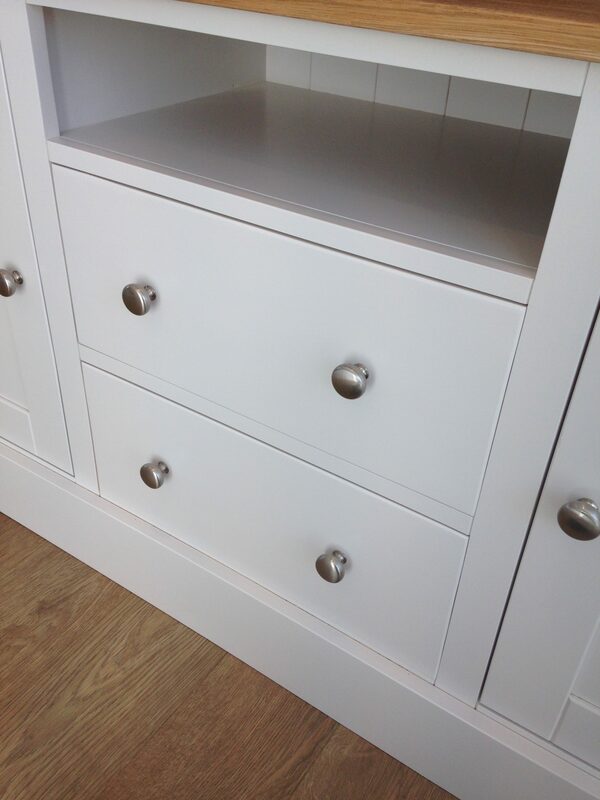 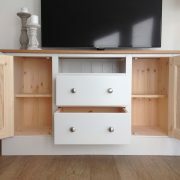 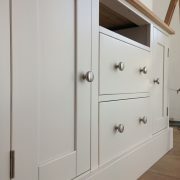 A very popular design with a mixture of doors to each side and drawers to the centre. 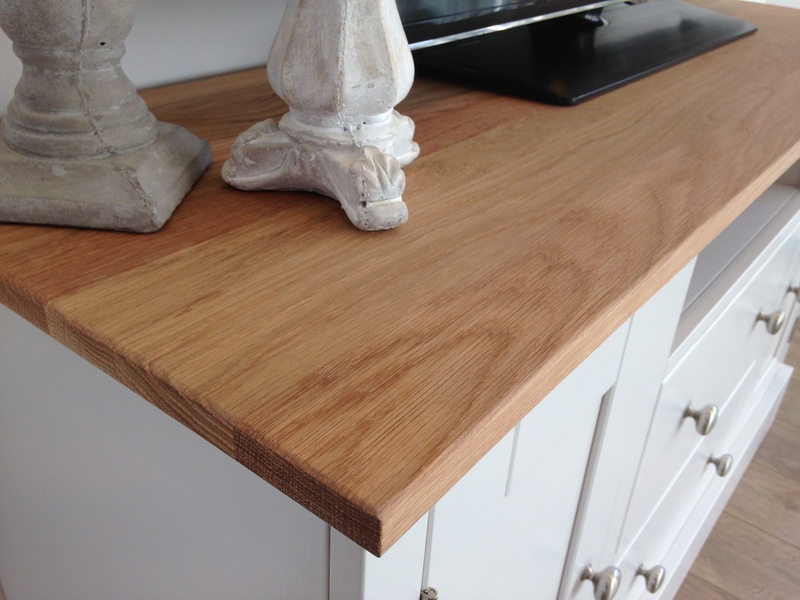 This unit has a solid oak worktop, our American blonde oak is oiled to highlight its natural colouring and beautiful grain. 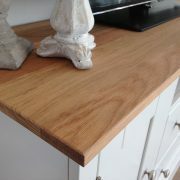 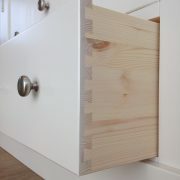 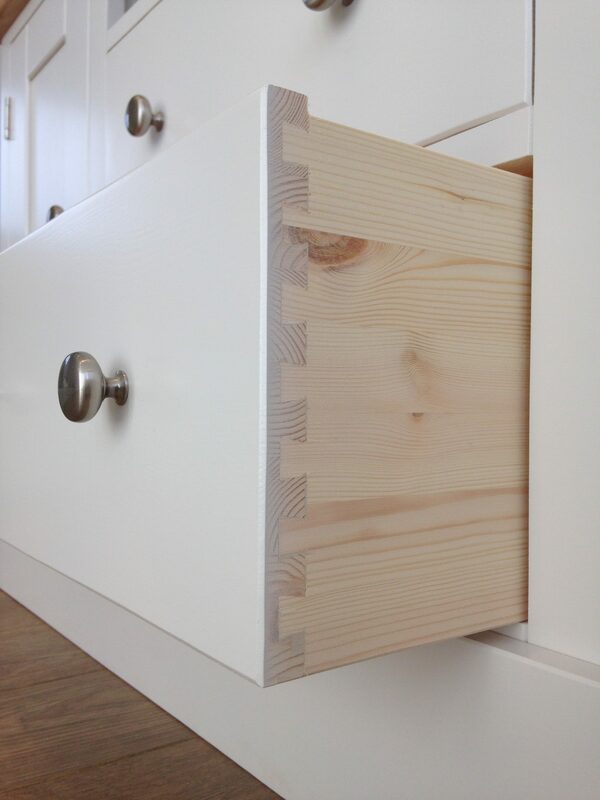 The rest of the unit is made of solid pine with dovetail, mortice and tenon joints and a tongue and groove back. 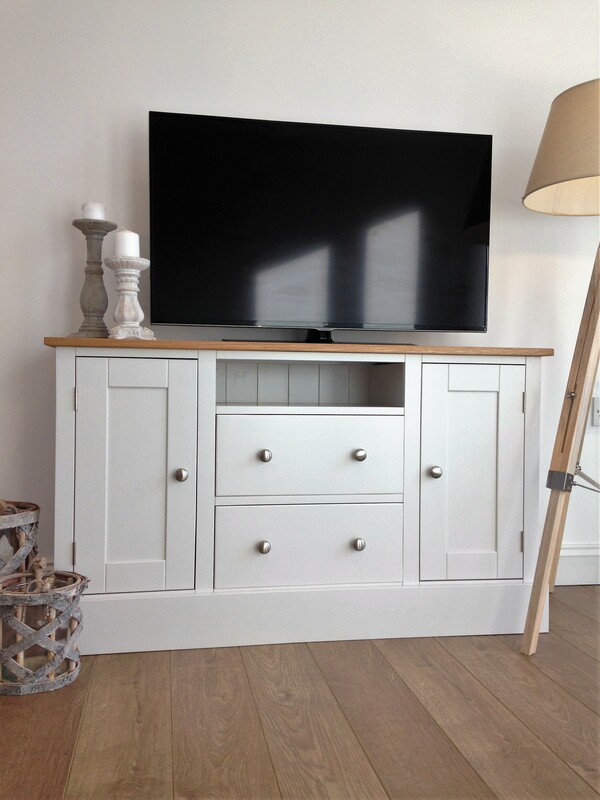 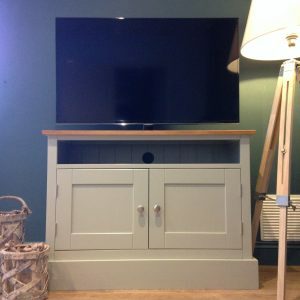 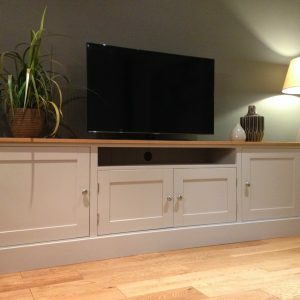 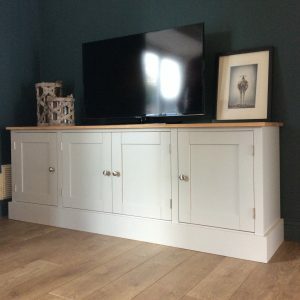 This unit is painted in strong white by Farrow and Ball but you can choose any of their colours for unit, included in our price.